If you’ve been named as an executor for a loved one’s estate, the job can seem overwhelming. 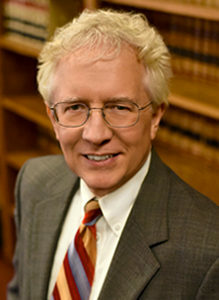 I help the executor perform the many duties required to be completed some of which are probating the Will; locating, valuing and accounting for all of the decedent’s property and debts; filing all of the many necessary tax returns and court documents; and formally accounting to the beneficiaries and, if necessary, the court. We have successfully handled hundreds of estates. If you have been named executor (or will be an administrator) of an estate, we will do everything we can to help you during this difficult time. I represent both buyers and sellers of real estate of all kinds from homes to apartment buildings to commercial and industrial properties. Your home may be the single largest purchase you will ever make. Do you really want to make that purchase without the help of an experienced real estate attorney? I serve my real estate clients by promptly preparing or reviewing sales agreements, deeds, mortgages and other required documents and making sure that there are no unaccounted for liens or claims against the property being purchased. I and our staff then do everything we can to help make sure that the closing of your purchase or sale goes smoothly and occurs on time. I advise clients about the best form of business entity to use, taxation treatment and owner agreements to provide for unanticipated circumstances (such as the death or disability of an owner). We prepare and file all of the necessary formation and initial operational documents such as articles of incorporation, bylaws, resolutions appointing officers and directors and employment contracts. As companies grow new legal needs often arise. I help business clients with such ongoing matters as contracts, new business ventures, purchases or construction of new facilities and planning for transfers of ownership. One of the greatest kindnesses that you can give to your loved ones is to leave a well prepared estate plan – a Will, a power of attorney, a healthcare directive and perhaps a trust. 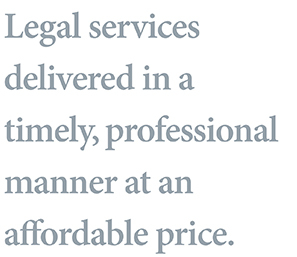 I have helped hundreds of clients with everything from simple Wills to trust for minor children or grandchildren to complex family and charitable trusts. I will help you decide exactly how you would like your wishes carried out in the event of your death or if you become incapacitated, and make sure that your estate planning documents are legally valid and, most importantly, mean what you think they mean. How May I Help You or Your Business? I would welcome the opportunity to talk to you more about how the firm can assist you or your business. Please call me at 814-432-2181.